Moving to a new home is a big task. No matter what your situation looks like, here are a few tips and tricks that we came up with when it comes to prepping for a move – tips for everyone involved. Being prepared for this change can help make for a smoother moving day! Household Members – do you have several members of your household that are making the move with you? Chances are there is going to be a lot of “stuff” that will need to get packed and moved into the new home. The best moving preparation tip we can give, that the whole family can benefit from, is by “Marie Kondo-ing” your belongings. Before you start packing away clothes and items, decide if it is something that you actually would like to keep or not. Now is the perfect opportunity to get rid of things that are no longer needed or worn so that there are fewer things to pack and move in the long run. The whole household should take this opportunity to start fresh and keep it simple! Once you are in the packing process, it is beneficial for each member to label their own boxes and the items inside so that on moving day, boxes can be placed in their new appropriate rooms. Kids – Moving can potentially be a little scary for children of school age. It’s a lot to think and worry about. It’s a change from a place they have become attached to and ultimately, they had no say in the decision to have to move. Show them the new home before the actual move. When a decision has been made, take your kids to see their new home even before you have moved in. If you are building a new construction home, take them regularly to see the progress on the build. Seeing where their new room is going to be or seeing the new backyard will enable their imaginations to run wild on all of the things they can do! Take them around the new neighborhood. By taking a walk through the new streets, they can see all the new potential for fun they are going to have. It would be even better if you could meet new neighbors and neighborhood kids before the move as well to get them excited about having a new home location. Let them know about the new amenities close by. Maybe you are closer to the soccer complex now or have trails close by that you will be able to take them to all summer. Restaurants, movie theaters, and play areas can all get kids excited about their new neighborhood. Pets – a big change for our furry (or scaly) friends! It is important to prepare a separate bag that is easily accessible filled with things such as their favorite toys, a bag of food that will get them through moving day, treats and a water bowl. While moving furniture in and out, the last thing you will want to be doing is searching for your dog’s water bowl or your cat’s dinner! 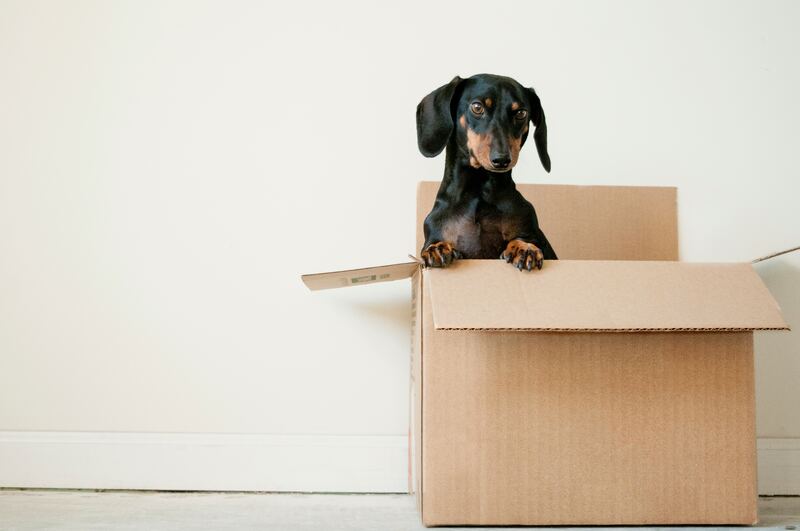 Having a designated pet bag prepped and ready to go will help make sure your pet is easily taken care of the day of the move. Yourself – While you may be worried about others in your move, it is easy to forget that you need to prepare for the change as well. Organize what you can ahead of time so that the day of the actual move isn’t so hectic. If that means hiring a moving service or changing your address before you move into your new home, anything that can help shorten your task of things to do when the day comes will help lift a weight off your shoulders. Keep a notebook of things that need to be done and to track down your budget. Having documents, notes about where things are packed and a list of things you need to do all in one place will help you to keep organized.